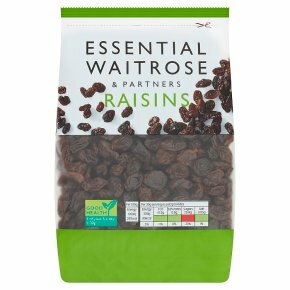 Juicy, seedless raisins - ideal in homebaked desserts. White seedless grapes are harvested and left in the sun to develop a sweet flavour. They are washed and cleaned ready to use in a variety of recipes.